Republican Maryland Gov. Larry Hogan has his largest lead yet over progressive Democrat challenger Ben Jealous, according to a Wednesday poll that also showed Hogan beating Jealous even in areas that lean heavily to the left. This is Hogan’s biggest lead yet during the campaign after various polls showed him leading Jealous by 12 points in June and 16 points in August, The Baltimore Sun reported. Hogan leads “in every region of the state” and is even preferred 45 to 40 percent by typically Democrat voters in the Washington, D.C., suburbs, according to The Baltimore Sun. Hogan enjoyed a nearly 70 percent approval rating in April, The Washington Post reported. Sixty-six percent of voters had more confidence in Hogan to handle issues like the state economy, compared to 23 percent who had faith in Jealous. Fifty-one percent of Maryland voters trusted Hogan to handle education and health care better, too, compared with roughly 35 percent who had confidence in Jealous on both issues. Hogan’s lead is bigger than Republican Texas Gov. Greg Abbott’s 19-point lead over Democrat challenger Lupe Valdez, but it is modest compared to Arkansas Republican Gov. Asa Hutchinson’s 35-point lead over Democrat challenger Jared Henderson. The Goucher poll surveyed 831 likely Maryland voters from Sept. 11 to Sept. 16, and has a 3.4 percent margin of error. 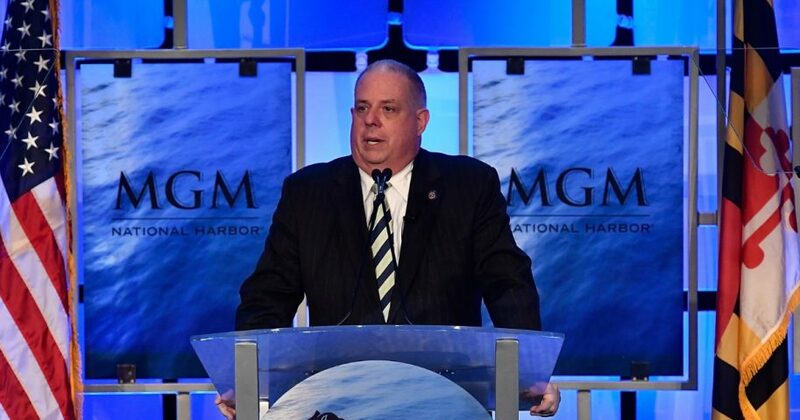 Hogan has been Maryland’s governor since 2015 when he took the office from a Democrat in a state where Democrats significantly outnumber Republicans.